Two studies in particular in papers published by the University of Illinois at Chicago have shown that certain disinfectants can react with the polybutylene and cause it to flake apart at any location within the PB piping system. Small fractures can deepen over time and eventually work their way to the pipe’s exterior, allowing water to escape. 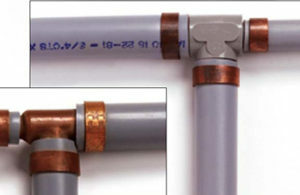 Some manufacturers, however, claim that the majority of leaks occur at joints and unions, which is where a leak would likely appear if a pipe were improperly installed. Despite this contention, class-action lawsuits filed against PB manufacturers have been successful and resulted in payouts to homeowners reaching $1 billion. 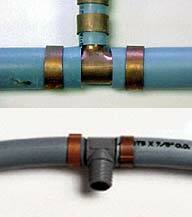 PEX: Common in radiant-heating systems, this cross-linked polyethylene can be black, blue or red. It is more easily coiled and more flexible than PB. It can withstand higher temperatures than polyethylene. Most insurers will not insure a home with PB. If they do the premium is so high that it is worth replacing. You will need to replace the supply water lines if you are purchasing a home that has PB. Check with your insurance agent before the end of your inspection period.